Find out why online training courses can give you an important edge and boost your post-baby career. Resuming your career after having a baby isn’t always easy. According to a recent report, women in the UK who return to work after maternity leave continue to earn less than men for several years afterwards. Factors including part-time working, missed promotions and less experience are contribute to what is now being branded a ‘mummy tax’. However, the outlook isn’t all bleak! With an increased awareness of the value of female returners, many businesses are actively looking for ways to make it easier for mothers to succeed in the workplace. And a number of campaigns, including Hire Me My Way, are pushing for more genuinely flexible career roles. There are also simple steps you can take to protect, and even further, your post-baby career, before, during and after maternity leave. 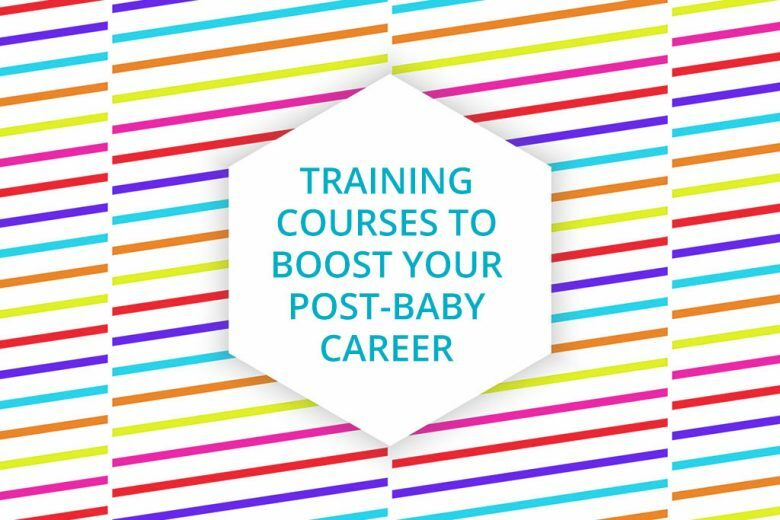 One very accessible, and highly desirable, way you can boost your post-baby career is to add to your skills with an online training course. Here are five reasons why you should consider online learning. It’s quite common for your confidence to feel a little shaky when returning to work after maternity leave. It feels like so long since you’ve been at work. What if you’ve forgotten how to do things? Or if your skills are no longer as sharp? Taking an online course while you’re on maternity leave won’t just keep your brain and skills sharp, but it will help you to walk back into work with more confidence, especially if you study a subject closely related to your career. You can even use this time away from work to assess your skill set, and what direction you want your career to take, and choose a training course that will give you a leg up the ladder. You may choose to take a management or leadership training programme. Or you can pick a course that will help you make a move into a different department, or even new career direction entirely. Whatever you decide to study, it’s important to use the new perspective you can gain on your career with a bit of distance from the daily treadmill to plot your next move carefully, and educate yourself accordingly. What separates two job candidates with similar experience and qualifications? Given the choice, most employers would choose the person who appeared to be the most motivated and resourceful. And what better way to demonstrate these qualities than by voluntarily pursuing education opportunities during a career break? By successfully competing an online training course, you prove that you are resourceful, and have initiative, drive and curiosity – all highly employable attributes that will give you a head start when resuming your career. It’s said that recruiters spend as little as six seconds scanning a CV before deciding whether to ditch it or delve deeper. So you need to look for any opportunity to help your CV stand out. Having the initiative to seek out, embark on, and compete a training course while you’re on maternity leave is a great way to enhance your CV. And it can be the one thing that makes the difference between your CV making it to the ‘yes’ pile for interviews. 5) It solves the career gap ‘problem’! Many mothers worry about how to explain a career gap when applying for jobs after an extended maternity leave. So why not plug that gap with an online course? Not only does a new qualification give you something genuinely valuable to add to your CV and ensure there are no glaring gaps in your timeline, but it demonstrates clearly to employers that you’re ambitious and work-ready. Bethany Pembrook is a student and freelance writer for MSP Training.